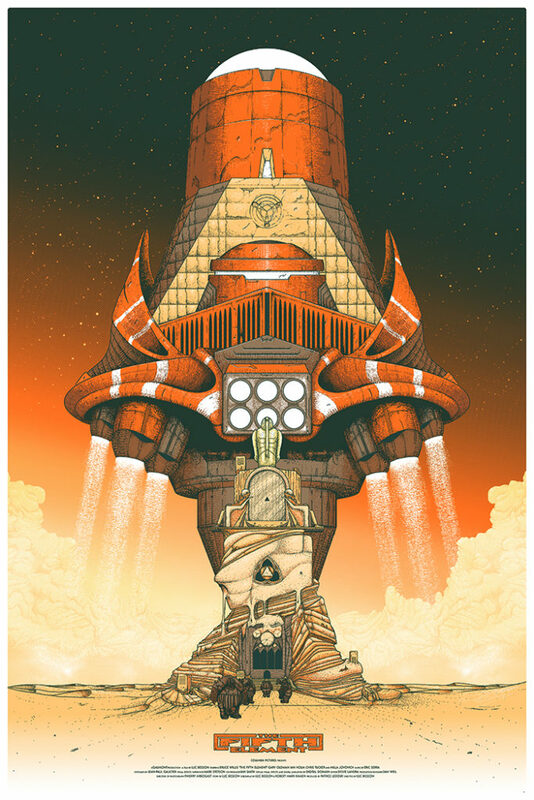 Screen printed posters for “The Fifth Element” commissioned by Cult Classic Prints. The Fifth Element “Caretakers of the Stones”: 24″x36″, 6 inks on Curious Metallic Ice Silver paper. 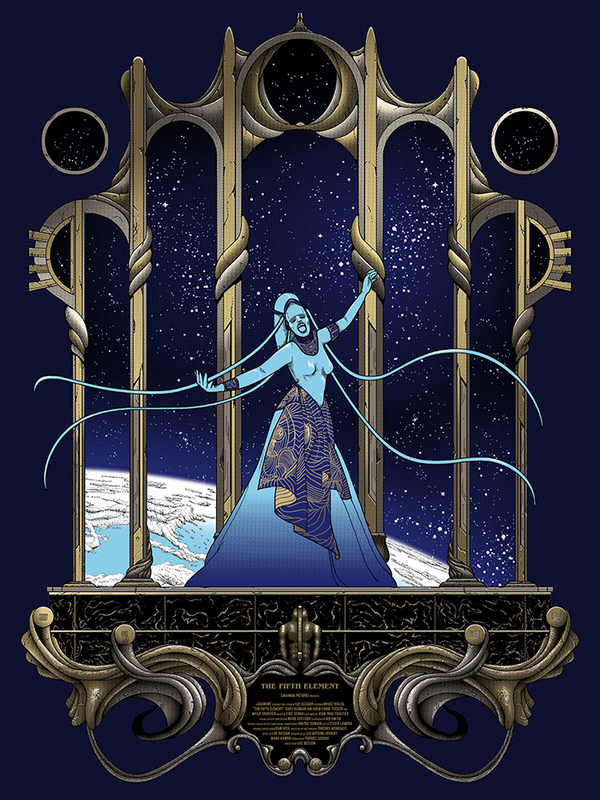 “Safekeeper of the Stones” Variant 18″x24″ with special Inks: Light Blue, Gold and Silver Metallics.